In a recent article titled “Top 5 Tips for Buying Commercial Kitchen Equipment in Australia” we shared important information for our buyers to consider. Not only is a piece of commercial kitchen equipment a practical tool in the food and hospitality industry, but an investment that assists organisations to prepare food effectively in a quality and timely manner. Understanding your requirements is essential. You might also need to consult with your team or the person who will be using the equipment. We stock many models, each serving a different purpose. Whether you are after high volume, manual or automatic operation or small-scale equipment, we have many options to choose from. Commercial kitchen equipment is an investment. Before making the purchase, ensure that you have assessed your needs, your goals and your budget. Then consider the products available. If you are unsure, feel free to contact us and we would be delighted to discuss the features of the products that interest you. Many customers will opt for the cheaper product. Whilst all our products are high quality, different models do come at different prices. Each model has different features and will suit different customer requirements. It is important that you check the features of the product before considering the price. Commercial kitchen equipment does last a long time, provided it is appropriately serviced in accordance with the manufacturer’s specifications. When undertaking your research, consider the future needs of your organisation. If you are considering an expansion, you might want to select a larger model that can cope with higher volumes of production. Many customers worry about investing in commercial kitchen equipment because they do not know the costs of maintenance and servicing. 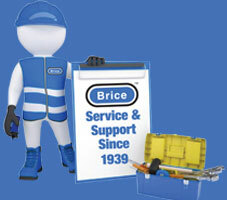 At Brice Australia we pride ourselves on service. There are a range of service agreements that can be selected which are in addition to the standard warranty for the product. Our sales team can offer expert advice on the correct equipment for the correct application. Brice Australia stock leading European made commercial kitchen equipment that are versatile, long-lasting and easy to clean. Supplying a large range of food equipment from processors to peelers, we are certain that you will be able to find what you need. Call the team on 1300 664 880 to speak to a friendly sales representative today. Are you on the lookout for new commercial kitchen equipment? What equipment do you want to buy and what features matter most to you?